1) Beat the meat with a wooden meat mallet until thin. 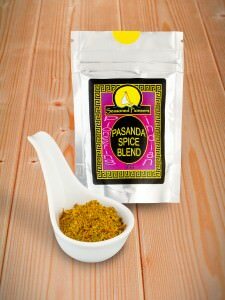 2) Mix with the yoghurt & Pasanda Spice Blend and set aside (ideally for an hour or even overnight in fridge). 3) Heat half the oil and stir-fry the onions, garlic & ginger until light brown. 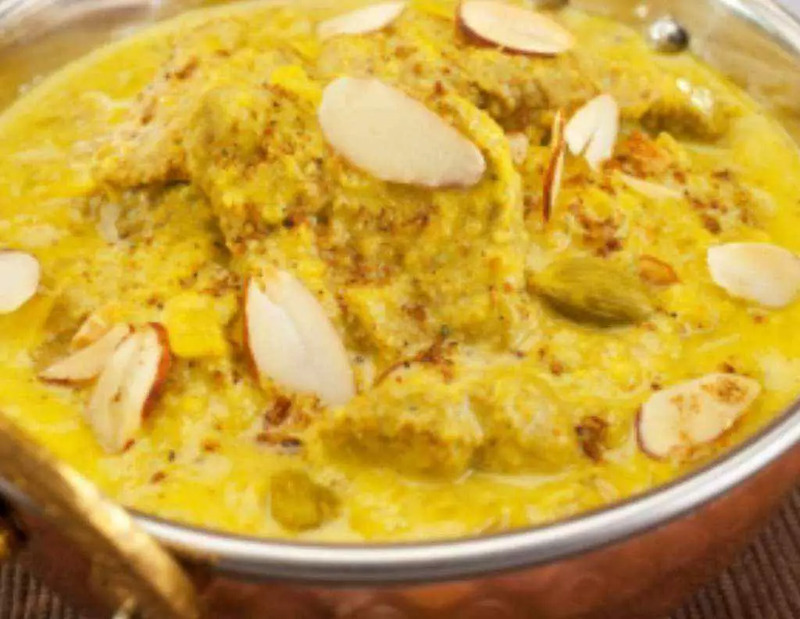 4) Stir in 2 tbsp of stock, coconut, ground almonds & coriander, then purée in a blender. 5) Heat the remaining oil and gently stir-fry the meat marinade mix for 5 minutes. 6) Mix in the blended paste and the remaining stock, cover and gently simmer until sauce thickens and meat is tender (~15mins for chicken, 60 mins for lamb – adding more water / stock if needed). 7) Garnish using the toasted Almonds. 8) Serve hot with basmati rice (Serves 4).